The Dutch man suspected in the disappearance of Alabama teen Natalee Holloway admitted he lied to her family about where her body was buried on the island of Aruba, according to an FBI agent's affidavit unsealed Thursday. 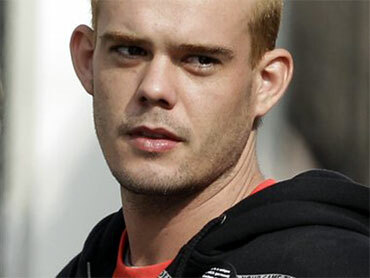 The affidavit is part of an Alabama extortion case against Joran van der Sloot. It said he sent an e-mail in late March asking for $250,000 - and later demanded a signed contract with her mother - in return for showing her family where the remains were buried and the circumstances of her death in 2005. According to the affidavit: Van der Sloot got $25,000 and on May 10 took a representative of the family to a house where he claimed his father, now deceased, buried Natalee Holloway's body in gravel under the foundation. He said he had thrown her to the ground when she tried to keep him from leaving and "hit her head on a rock and died as a result of the impact." It was later learned the house could not have been the burial place - Aruban authorities found it had not even been built when the teen disappeared on May 30, 2005, the affidavit said. In a May 17, 2010 e-mail to the family representative, van der Sloot admitted he had lied about the location of the remains, the affidavit said. Van der Sloot later left for Peru, where he is being held in the strangling death of a 21-year-old woman. Federal authorities said Thursday they were trying to build a murder case against him in the Holloway disappearance and were not ready to arrest him before he went to Peru. According to the sworn statement from Special Agent Willima K. Bryan of Birmingham, a cooperating witness served as the go-between for Holloway's mother, Beth Holloway, and van der Sloot. After he made his offer, Beth Holloway sent $10,000 in cash to him through the witness, who was not named, and sent a wire transfer of $15,000 to van der Sloot's bank account in the Netherlands, Bryan said. The $15,000 forms the basis of a wire fraud charge in the extortion case brought against van der Sloot in Birmingham federal court. He has long been a suspect in Natalee Holloway's disappearance. On a trip to Aruba with other seniors who had graduated from Mountain Brook High School, she was seen leaving a nightclub with van der Sloot on the night she vanished. He has given conflicting accounts of what happened and was twice arrested in the case but released due to lack of evidence.